"Everything should stop once we get peace"
Russian Prime Minister Dmitry Medvedev said the scale of the Russian army's presence in Syria will be determined by the Russian authorities, not the Syrian administration. "Russia doesn't intend to stay in Syria forever. We are there to fulfill a limited, specific mission that is related to protecting our national interests. This is why, even if we are there at the request of President Assad, determining the exposure of the Russian army and Armed Forces in Syria won't be up to the Syrian president, but to the Russian authorities, the Commander-in-Chief and all those involved in this process," Medvedev said in an interview with Time magazine, responding to a question as to whether Russia is ready to support President Assad in achieving his objective of getting the entire territory of Syria back under Damascus' control. At the same time, Medvedev said that "of course, we would like Syria to stay within its historic borders as a unified country." "I even think that everyone shares this idea in Russia, as well as in Europe and the United States. No one wants to have a new Libya that fell apart, and no one wants to have chaos with field commanders, or, to put it plainly, outright criminals, at the head of various territories no matter what religious rhetoric they use to conceal their true nature," Medvedev said. In this regard, he said that "we will remain in touch with our partners in this process." "No matter how difficult this dialogue is, it continued in Munich and it gained traction. This inspires cautious optimism that we will be able to reach an agreement in the future on a settlement in Syria, the intra-Syrian dialogue, its principles and participants, as well as a ceasefire," Medevdev said. 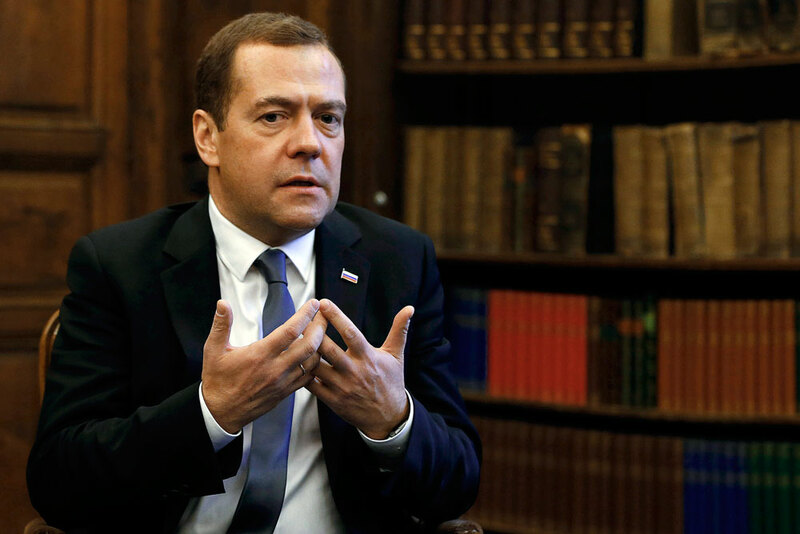 Responding to a question as to when the offensive of the Assad troops backed by the Russian Air Force may stop, Medvedev said: "I think, and this is my personal opinion, that everything should stop once we get peace." "If with our help or with the help of the United States or the EU, President Assad sits down at the negotiating table with the people with whom you can reach agreements (and the list of such people has yet to be drawn up), and agrees on Syria's political future, democratic reforms and probably his own role in this process, an issue that can be hardly overlooked, this is when everything should end," Medvedev said. "I never said that a new Cold War has begun, but I said that NATO decisions bring a new Cold War nearer. I said this and I will say it again"